These are the Signed original Pen & Ink drawings by Graham Allen. 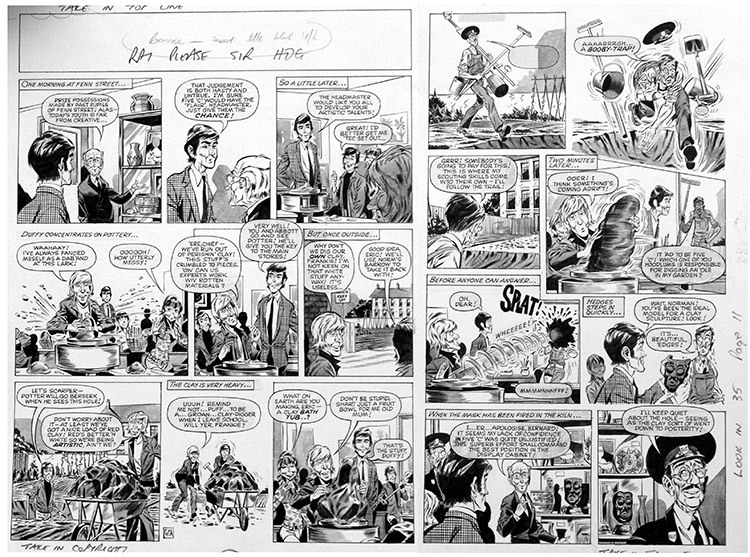 Two pages of original pen and ink art used in the magazine Look In issue #35. 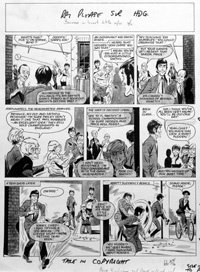 A two page episode of the popular TV series "Please Sir" starring John Alderton and Deryck Guyler.